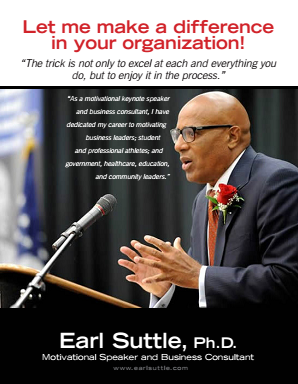 Watch as Dr. Earl Suttle inspires others. Dr. Earl presents “Enjoying Excellence” to a business audience. Dr. Earl Suttle presents at Eastern Michigan University. Dr. Earl prepares the Arizona State University football team for high risk situations.